But with cannabis dispensaries popping up like mushrooms in medical or recreational (rec) states, how do you stand out from the crowd? How do you get people to spend their cash on your stash? Cannabis has traditionally belonged to the outsiders, the anti-establishments, and the creatives. 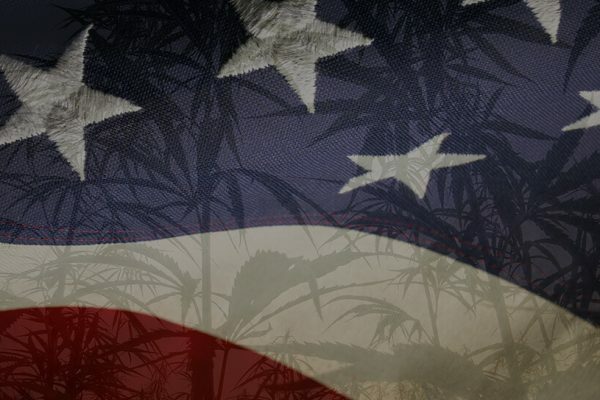 This, in relationship with the fact that weed has been illegal for the majority of the Internet boom, has given the industry a chance to completely re-brand itself in a very short period of time. For that reason, the cannabis industry is quickly becoming one of the sleekest and most beautifully designed industries in the world. 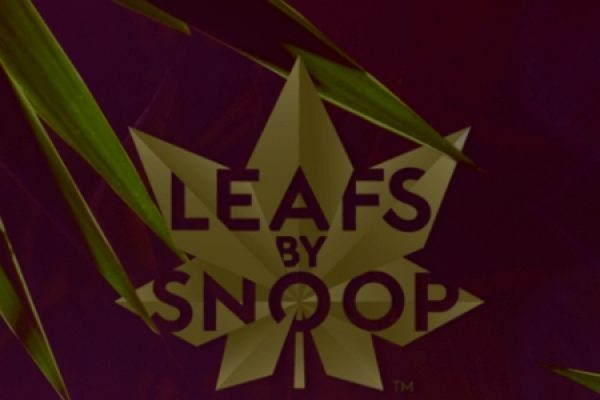 Even the smallest of successful cannabis brands have clear branding strategies that shine through on all of their platforms, merchandise, and dispensaries. This is fantastic for the industry as a whole, as it pushes everyone to do better work and provide better products, but it also puts the industry in a difficult situation. Great products and dispensaries are lost in a sea of mediocre competition, made up of opportunistic wanna-be cannapreneurs who are in it for the money and not for the love of the plant or its healing effects. They love the green and not the emerald, so to speak. 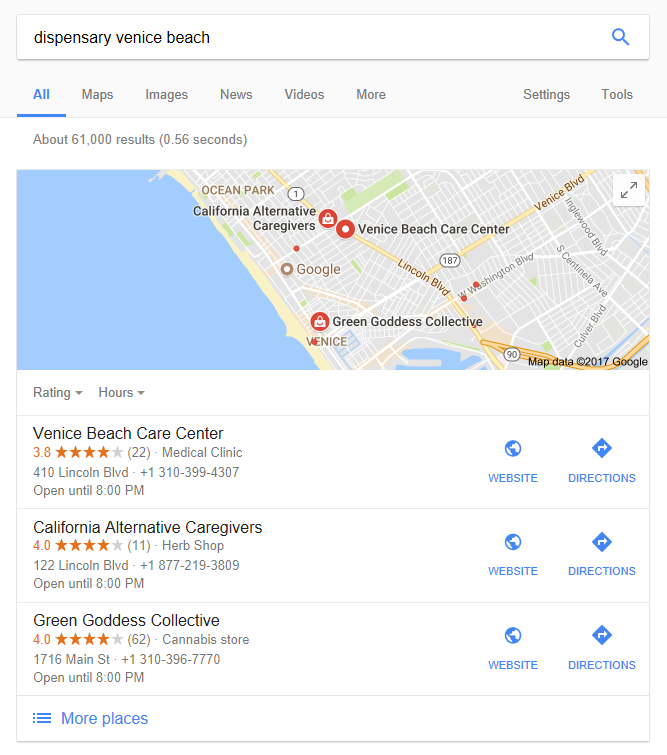 We at CannaVerse Solutions want to help your dispensary or shop be successful by teaching you how to outrank your competitors through the fine art of marketing on Google with our A to Z SEO Guide for Cannabis Dispensaries and Medical Marijuana Shops. 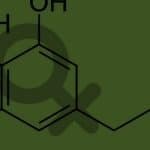 Cannabis SEO can be quite complicated and technical overall, but for the most part, it’s about a good structure and common sense. In this day and age, establishing a website is pretty easy, all you have to know is where to find a designer (you don’t need a programmer or developer) and how to ask for what you want. PRO TIP: Sketch out design ideas in paint or canva to give the designer a visual idea. NOTE: If you want to build the site yourself, you can. It’s not difficult to setup a basic WordPress site but if you have a some money to spare I strongly recommend hiring a professional. Hiring a professional website designer will save you the effort of learning something new and free up time for more important work like SEO ranking! There are two must-have tools for successful SEO. 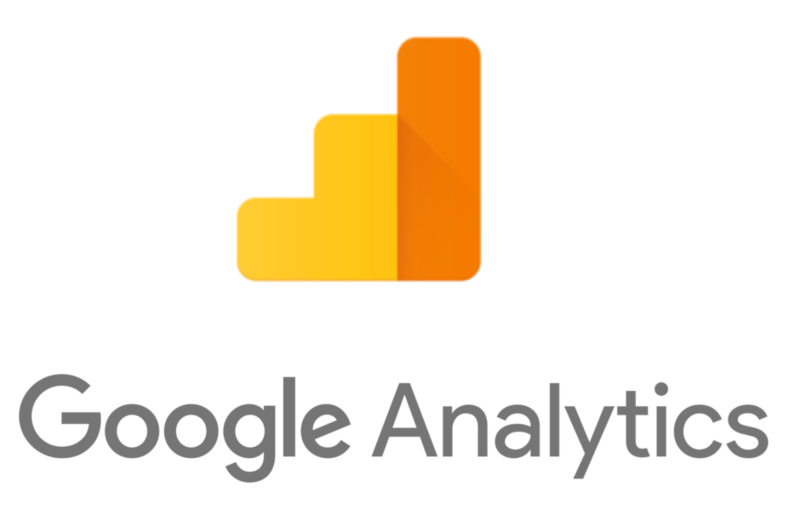 These are the free tools provided by Google in order for you to understand your visitor’s behavior on your site (Analytics) and how they arrived at your site (Search Console). Although it takes some practice to learn how to use Search Console and Analytics, you will benefit from having them setup correctly from the start. They will also help any cannabis SEO expert figure out the over all health of your website. Setreting them up is easy. Follow these simple steps. NOTE: If you already have a Google Analytics account you will find it under the settings icon. In the settings you can link your Search Console and Analytics account so your traffic gets registered properly. How Would You Search For A Cannabis Dispensary Online? Don’t complicate things, you know what keywords you want to rank for. 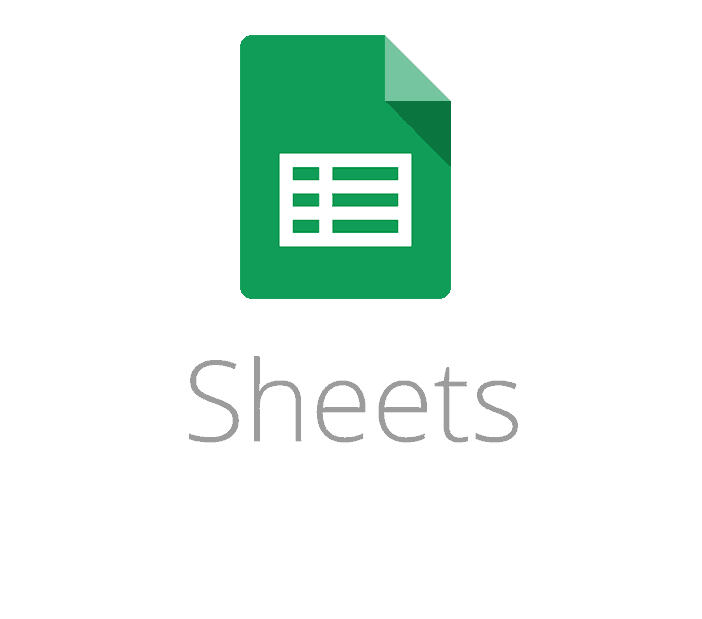 Make a simple spreadsheet with all the main keywords that you want your dispensary to trigger. How would you search for a dispensary? Be creative and look at what other dispensaries in your area are doing. In the next step we will use the keyword list to rank your website. I will assume that you have a WordPress site as that is the dominating web platform today. Also, it is a good choice as it gives you flexibility, speed, and ease of use. However, the ease of use sometimes attracts inexperienced web designers who speed-through the development phase and miss some of the basic SEO settings. A common mistake we see with dispensaries and cannabis brands at CannaVerse is un-optimized permalink settings. This is when the URLs of the pages on a website contain strange characters, numbers and signs. Proper permalink settings are short, easy to read and optimized to your keywords. Take a look at the address bar on this page and you’ll find that the URL is relevant and understandable. If you decide to change your permalinks be aware that all your old URLs will disappear and so will any link that is pointing to those pages. All the pages on your site should contain no more and no less than one H1 headline (h1-tag). An h1-tag is the main headline of the page, it tells search engines what the main topic of the page is and it helps Google figure out what keywords should trigger your website. Use your keyword list to write unique and relevant headlines for each page on your website. NOTE: Do not confuse the h1-tag with the title tag. The title tag is what shows up in search engines as well as on the tab at the top of your browser. Together they send strong signals to search engines regarding the topic of your pages. Part of the benefit in using wordpress is that you can leverage their large plugin (extension) directory to optimize the performance of your website. Here are some of the best free plugins you should use to boost the cannabis SEO of your dispensary website. Yoast SEO is one of the most (if not the most) popular and complete SEO plugin for wordpress websites. It gives you almost full control of the meta-tags of each individual page on your site. Simply put, it gives you a frontend interface where you can edit the titles and descriptions of your pages and blog posts. Remember, the titles and descriptions are the text snippets that show up in Google when you make a search. But Yoast SEO can do much more than just that. NOTE: Make sure to enable the advanced options in the dashboard to get all the features of the Yoast SEO plugin. 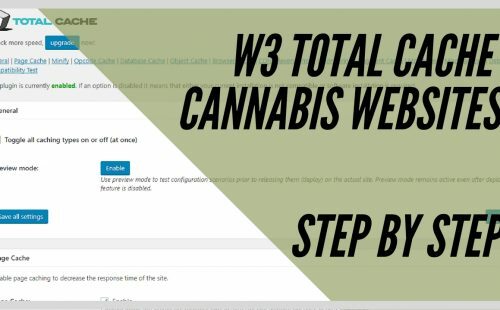 W3 Total Cache is a caching plugin that will help improve the speed and performance of your website. In other words, there are elements on your website that are the same on every page, menus, footers and fonts for example. A caching plugin will help to speed up your site by saving those static elements locally in your visitors browser instead of loading from your server. This helps to speed up your website for returning visitors. 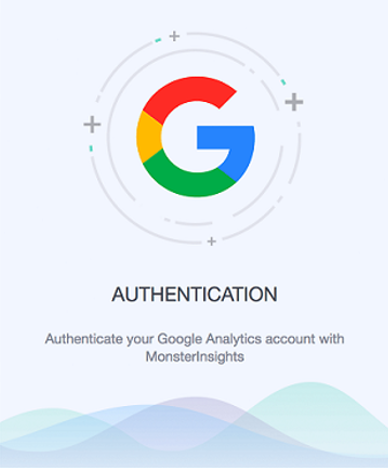 Google Analytics by Monster Insight Will help you integrate your website and get data from Google Analytics. The setup is very straight forward, just follow the directions and you’ll be up and running. Another common mistake we see when taking over websites is that the images are unoptimized. This usually means that the file-sizes are too big and that the descriptive texts are missing. With WP Smush you will be able to get a basic setup for your site in no time. Just install and activate the plugin and click “Bulk Smush Now!”. BONUS: Change the filenames of your photos before uploading them to wordpress. Then edit the alt-tags and descriptions to something appropriate to ensure that search engines are able to understand the images on your site. There are two main ways that your dispensary will be found online, through the Google Maps function in the search results and Weedmaps. Unfortunately, Weedmaps is a paid service so we’ll take a look at them in a later article but luckily Google is happy to have you in their directory for free so let’s make sure that you use their muscle to its fullest potential. To get on this map you will have to add and verify your dispensary with Google My Business. Here is how you do it. PRO TIP: With Google My Business you can get reviews that show up on the map along with your dispensary. Take advantage of it by giving your visitors a QR code of the direct review link as they get their receipt. BONUS: Google My business will help your rankings for “Dispensary near me”, “Dispensary open late” “Dispensary open right now” etc. NOTE: Use the exact same information in Google My Business as you have on your website. For example, if your address is “123 Green Street” on your website, do not list your address “123 Green St.” in your business account. For a search engine to find your website quickly it will need other websites to link to your site using your domain name, brand name or specific keywords. These links are known as backlinks. They are the main source that search engines use in order to determine your site’s relevancy for specific keywords. Here are a few good cannabis link directories that will help your page get some link juice for free. NOTE: Backlinks are not so distinct as black or white, and more is not always better. Who is linking to you and how they are doing it may hurt your rankings instead of help. Tread carefully as you use links to boost your dispensary SEO. Keeping your site up to date with fresh content is going to help your dispensary rank higher. I know that writing can be painful and for a dispensary it may seem pointless, but the truth is that it can be very helpful and it doesn’t have to be difficult at all. A simple solution is to have a “Budtender of the week” or “Product of the week” blog. You only need to update it with a few quick paragraphs and a photo every week. PRO TIP: Post a “product of the week” with nice images and glowing reviews of the brands you are selling. After publishing, contact the brand to let them know that you love them and show them the blog post or link to them in social media. This will often result in them linking to your review and posting it on their website. That backlink can set you apart from the other dispensaries in town! We know your dispensary or shop is great and you sell wonderful products that are wanted by many customers. So pick a social media platform to start showing the world what your brand looks like! You can choose from many social media platforms to use, or use multiple ones.  For those using Facebook, it gives your customers a chance to send direct messages to you and if you choose to use Instagram, you can visually show off what’s happening right now. Film it – Photograph it – Share it! There is no need to schedule a professional photo shoot for social media posts, no, it is much better to keep your social media real, honest and simple and you will grow your brand and exposure. 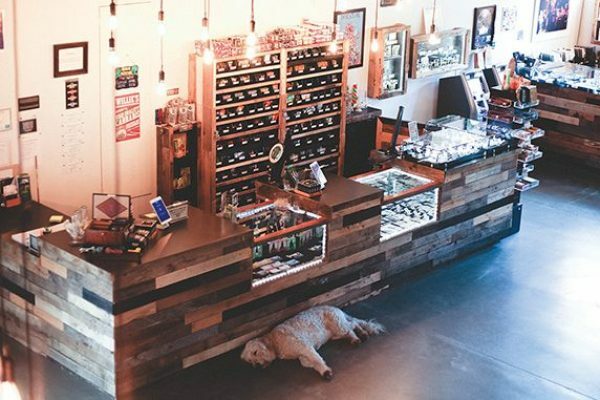 PRO TIP: Create a check-in location for your dispensary. Find the best angle to show off your dispensary (inside AND outside in the parking lot) and build a “Selfie Zone” with a hashtag #YourDispensary. As people start taking selfies in your dispensary you’ll find that word about your awesomeness will spread around town. Take these 9 steps whenever you have time to spare and you will see results eventually, but remember, cannabis SEO is a long-term strategy for your dispensary, so if you want help establishing or building out your social media, marketing, or SEO, contact us at CannaVerse Solutions. Let our industry experience help your customers know your brand, from A to Z! Want help to setup your website in the best and most search engine friendly way? Send us your information and we’ll get back to you ASAP. Robert is our in-house SEO and SEM specialist. He stays on top of Google and makes sure that there is a steady stream of traffic coming to us and our clients. Great article with easy to follow steps. Wish you well! 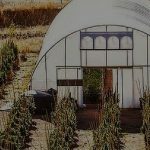 What kind of marketing do you recommend for cannabis related sites that are not dispensaries like 420greenthumb.com ? You might also consider looking in your Google Search Console for search terms that you are getting high “impressions” but low “clicks” for. Then edit your titles and descriptions to make sure that they are interesting and relevant. Thanks for introduced me to a few things that I’m very glad to know about cannabis SEO, Keep sharing more blogs with more helpful information. Hi, this is a fantastic article. I would like to keep all of these things in mind as I’m developing my site. I’m working on a retail site for cannabis apparel. Do you have this guide available as a downloadable .PDF?